The DEWALT SDS Plus Hollow Drill Bits enable alignment to frequently used rebar and anchor sizes. 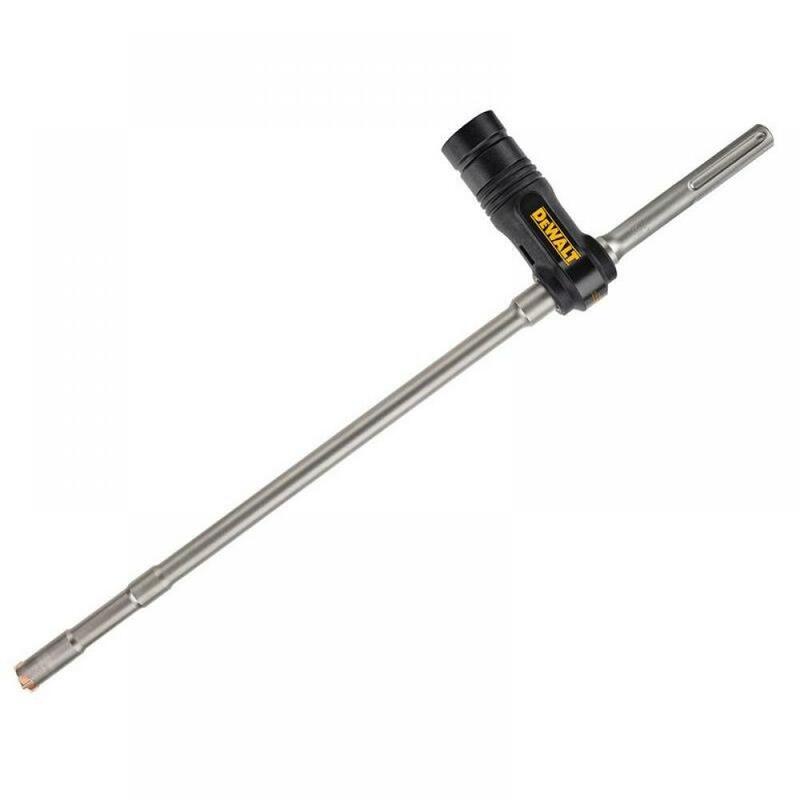 They feature a Y-Cutter carbide tip for exact positioning, perfect starting and maximum durability. The bits are fitted with an AIRLOCK adaptor that can be connected directly to a dust extraction unit. Extracting dust as you drill for: faster hole drilling enables no dust absorbing impact energy within the hole; faster chemical anchor installation (dust free holes, no cleaning required) and a cleaner working environment, less dust in the atmosphere. These drill bits are ideal for general construction, concrete contractors and steel erectors. They are useful in a wide range of applications, including: renovations, structural retrofit, dowelling, metal fabrications, MEP, etc.